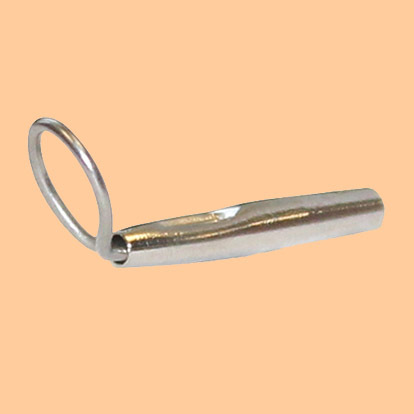 REC guides are made of a Nickel Titanium alloy. They are extremely hard but also flexible, and will recoil back into shape when impacted. The material will not corrode nor rust. With the lack of metal fatigue, these guides will last indefinitely. The guides are also lighter since they do not require additional plating, thus they contribute less mass to the rod. They are priced at about $2.50 each for the snake guides and $5.00 for the tip tops and stripping guides. 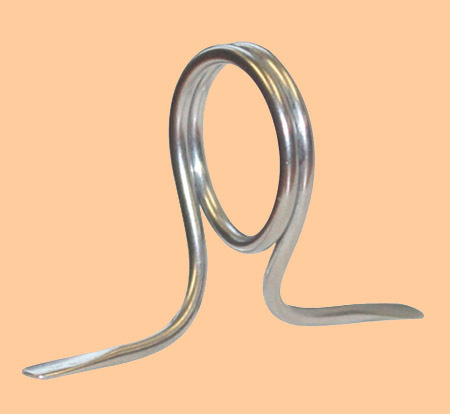 Hopkins and Holloway guides are English made high quality hard chrome snake guides and tip tops. Available in Gold Titanium Nitride(TiN), Black Diamond Like Carbide (DLC), and Clear Chrome finishes. They are priced at about $1.50 for the snake guides, $3.00 for the tip tops, and $5.00 for the stripping guides. 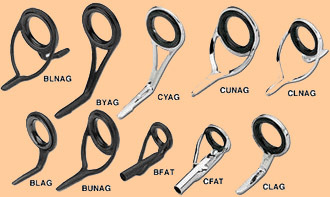 Fuji manufactures high quality stripping guides that are considered by some as the best on the market. These guides are available in a variety of frame and ring combinations. The Alconite ring Concept guides provide a rare combination of strength, lightness, and durability. The Silicon Carbide ring Concept guides use a polished SiC ring mounted directly to the frame, which reduces weight, increased heat dissipation and amplifies line sensitivity. The Hardloy guide is produced from a special blend of high-grade aluminum oxide. The ring is permanently mounted to the frame, which results in lighter weight, greater heat dissipation and decreased line wear. 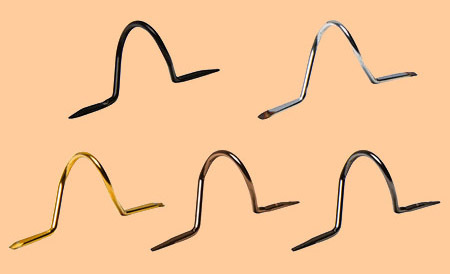 They are priced at about $2.50 for the Alconite guides, $4.50 for the Silicon Carbide, and $1.00 for the Hardloy guides. Pacific Bay is one of the most popular sources for fly rod guides. They carry a wide range of guides found through many sources. They have 6 separate lines of guides depending upon the requirements of your rod. The model FX and F series is a single foot guide designed for medium to heavy action rods. The model SF is designed for lightweight applications. The LXBG model is a light wire frame guide with a low profile, particularly useful as strippers on Bamboo rods. The SN is their standard snake guide, of which they also carry a lightweight model, SNL. Each of these models come in a number of finishes and materials. Most popular are the platings in Super Hard Chrome and Titanium Chrome. They also have some appealing finishes in Cobalt Blue, TiGold, English Bronze, and a multi-hued Illusion.